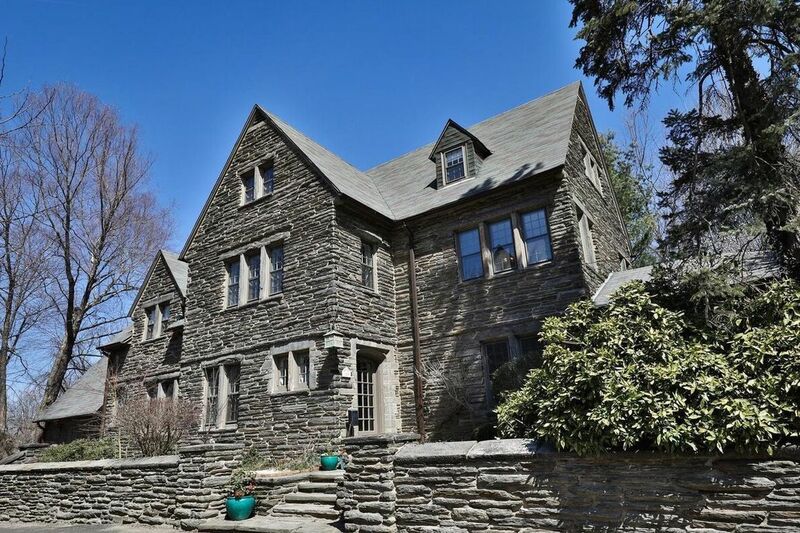 129 Carpenter Lane in Philadelphia's Mount Airy neighborhood is nearly 7,000 square feet and has six bedrooms, three full baths and a powder room. It's on the market for $810,000. Tom Sugrue bought his West Mount Airy home in 1999 after his first child was born. “We wanted a bigger place,” he said. At nearly 7,000 square feet, the home includes six bedrooms, three full baths, and a powder room. But space was not the only draw. “We loved West Mount Airy for its diversity, the beautiful gardens, and the wonderful architecture,” Sugrue said. The property had a romantic name — Stone Gables, given by local architect C. Wharton Churchman when he built the home in 1915 — but the reality wasn’t so beautiful in 1999. 129 Carpenter Lane in Philadelphia's Mount Airy neighborhood is nearly 7,000 square feet and has six bedrooms, three full baths and a powder room. They refinished the floors and eventually replaced the kitchen. Over time, he also added a patio and a shade garden on the .45-acre property. Entertaining has been at the heart of family life in the home, Sugrue said, with dinner parties hosted in the formal dining room in the winter and in the courtyard or patio during warmer months. Sugrue said that even though they have decided to list the home for sale, they were able to enjoy one last holiday season of entertaining. “We went out with a bang,” he said. 129 Carpenter Lane in Mount Airy has lots of room for entertaining. For Thanksgiving, they hosted 20 friends and family members at Stone Gables. After that, they had their annual champagne party. “[We] had friends and family from as close as Mount Airy and as far as Brazil for our best Christmas ever,” he said. Now that both his children are off to college, Sugrue said, it’s time for a new chapter. The home is listed with Marilou Buffum at Berkshire Hathaway HomeServices Fox & Roach for $810,000.